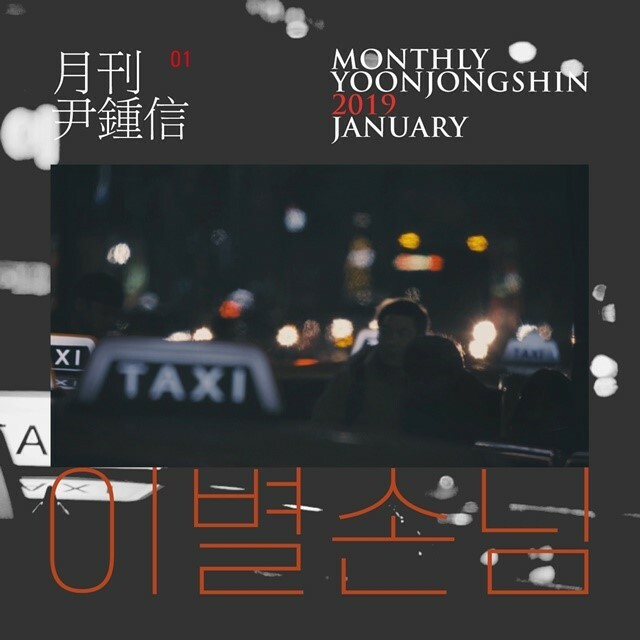 Yoon JongShin 'Taxi Driver', Released at 6 pm on the 23rd afternnon. [THE FACT] 'Taxi Driver' connecting the sensibility of the 'Parting Taxi'. Mystic Entertainment, agency of Yoon JongShin, has announced on the 23rd that the 2019 January of the monthly project ‘Monthly YoonJongShin’ is releasing at 6 pm of the 26th. 'Taxi Driver' is a song in the place of the taxi driver from the song ‘Parting Taxi’ of Yoon JongShin. “While I was listening to the ‘Parting Taxi’, it just came in to my thought if how the driver would felt and I tried to imagine the situation with the driver’s point of view. So I was thinking with the lyrics where you can feel the driver’s life, I wanted to give even small comfort to the people. said Park MinWoo of ‘DESK’, who wrote the lyrics of ‘Parting Taxi’. “I’m so happy that the producer Yoon JongShin agrees with my story and I am so glad and honored that I can be part of the monthly project of Yoon JongShin.”, he added. According to the agency, ‘Taxi Driver’ is the first result of ‘Monthly Project Yoon JongShin’, done by support mails ever since it started. A lot of writers sent their songs to ‘Monthly Yoon JongShin’ as well as to Mystic entertainment, but this is the first song which was selected by Yoon JongShin and actually continued till the actual producing of the song. “I thought that there was no reason for me not to work together with these friends since they were good at writing and making it. I also liked the ideas and narrations of the lyrics and it had power to make me listen till the end.”, said Yoon JongShin.